Marc Ribot has just released a new CD called Silent Movies and recently played a live score to Chaplin’s The Kid. In June, Alex de Grassi performed his live score to Yasujiro Ozu’s A Story of Floating Weeds. In July, Wycliffe Gordon led a 16-piece big band in his original soundtrack to Oscar Micheaux’s Body and Soul, Paul Robeson’s first film role. Wynton Marsalis scored a new silent film by Dan Pritzker, Louis, based on the childhood of Louis Armstrong, and played it live with his ensemble at screenings this summer in Chicago, New York, and Philadelphia. Last night at MacPhail, in a program called Jekyll and Hyde Come Alive, Kelly Rossum premiered his soundtrack to the 1920 silent film Dr. Jekyll and Mr. Hyde starring John Barrymore. Commissioned by the University of Wisconsin, River Falls, Rossum’s composition consists of themes representing the four major characters of the film (Dr. Jekyll; Millicent, his beloved; Mr. Hyde; and Gina, the Italian dancer who gets mixed up with Hyde). 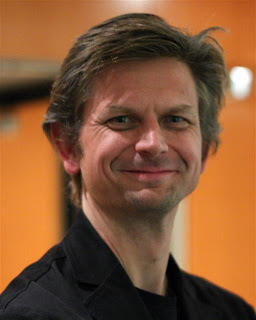 The themes are linked by improvisation by members of the band. Turns out Antonello Hall at MacPhail has a big screen—a good thing because the film is so murky and degraded, not so good because the band had to play behind it, hidden from view. (Was that due to the size of the screen, or the fact that lights shining on music stands would have been distracting?) Keeping the band out of sight made the music seem more like a soundtrack than a live performance, but I like to see the band when I'm hearing live music, so I had mixed feelings about this. It was, in fact, a soundtrack, very literal at times; when Millicent played the piano on screen, so did Nichols. When a hammer banged on a table, Strom (or Roehm) went bang bang bang. Other parts weren’t as literal. Rossum used heavy percussion—driving, insistently rhythmic—for times in the story when things were moving quickly. Four horns together, dissonant and blaring, defined climactic moments. There were lovely singing, bendy passages on Roessler’s bass early on, before the story turned dark. I had forgotten how dark it is. The special effects are primitive—stop-motion, makeup, some sort of film-over-film thing with a giant see-through spider. And then there’s Barrymore’s acting, the terrifying transformation of beautiful man into lascivious monster. The modern sounds of jazz and improvisation (all acoustic, no electronics) paired well with the film, now almost a century old. The audience—a more than full house, over 200 people, with extra rows of chairs at the back—laughed at the funny parts (some unintentionally funny, like the actors’ exaggerated looks) and applauded loudly at the end. 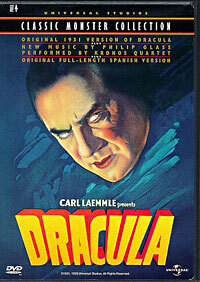 Philip Glass wrote music for the 1931 Dracula starring Bela Lugosi; Kronos recorded it and DVDs are available (look for the “Classic Monster Collection” edition from Universal). 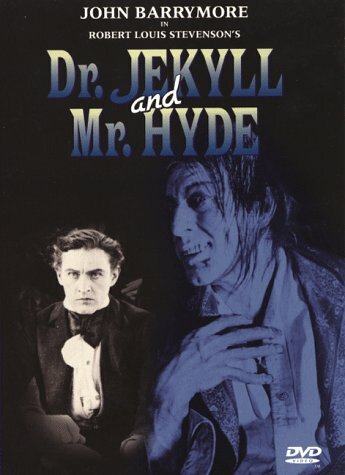 I would like to be able to watch Dr. Jekyll and Mr. Hyde again with Rossum’s soundtrack. It enhanced the film and gave it new dimension. It carried me from one scene to the next and often surprised me. It was fresh and tuneful. Here are three selections from a demo reel on Rossum’s YouTube channel. Photo of Kelly Rossum by John Whiting, taken in the Antonello's lobby after the performance.